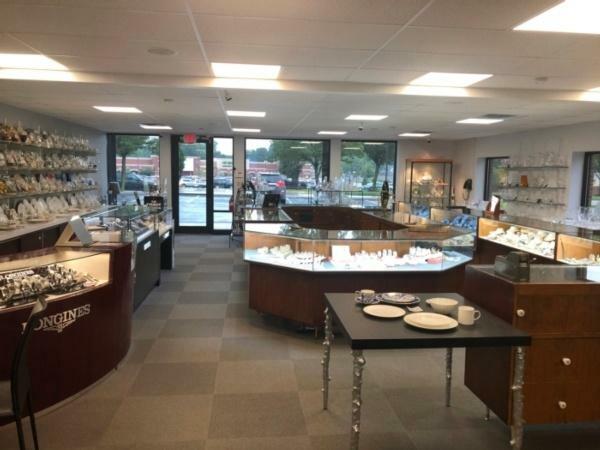 Since 1921, Shulan's Fairlawn Jewelers has had the area's largest selection of the world's best-known jewelry, watches, china, crystal, silver and gifts. Just as important, four generations of Shulan's have brought expert guidance to all of our customers as they make these important purchases. Only at Shulan's will you find the expertise of 95 years in business to help guide you to great products from companies that truly believe in service. Our long reputation for honesty means you will always get fair prices and trustworthy advice. It also gives us a strong foundation for dealing with companies who stand behind the quality of their products. Whether it is a wedding ring that can be re-sized or stainless steel flatware with a lifetime warranty that is actually honored, if it's from Shulan's, you can depend on satisfaction. We provide a number of design services for jewelry, table settings and gifts. Shulan's offers a complete list of services, including custom design and fabrication. We can coordinate your china with crystal, silver or other flatware, so you can enjoy using it every day and can adapt it for casual or formal entertaining. Our Corporate Gifts Program offers a large selection of gifts, awards and china that can be customized. Our web site and its links bring you a dazzling on-line catalog, but there is so much more available than we can show you here. And no photograph can substitute for holding fine jewelry, china, crystal or silver in your own hands. That's why we urge you to call our local number (330-836-8477) or our toll-free number (888-689-7077) for our personal help with your selection. Better yet, stop into our store to see and learn about the very latest we have to offer you.